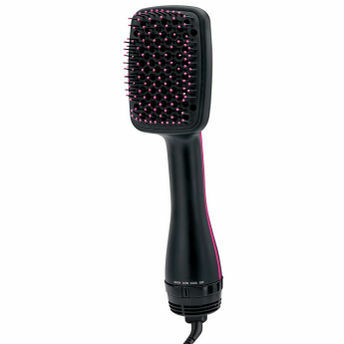 A one-step hair dryer and styler that gives you ultra-smooth silky hair with the touch of a button. This amazing, super lightweight dryer is easy to use and helps protect your hair from heat related damage so you get smooth, frizz free styles and fast results every time. The unique design combines the powerful airflow of a dryer with the smoothing benefit of a brush in one tool for effortless styling in half the time. Perfect for styling back of hair with ease. Note: Do not pull, twist or wrap cord around the appliance. Explore the entire range of Multi Stylers available on Nykaa. Shop more Bronson Professional products here.You can browse through the complete world of Bronson Professional Multi Stylers .